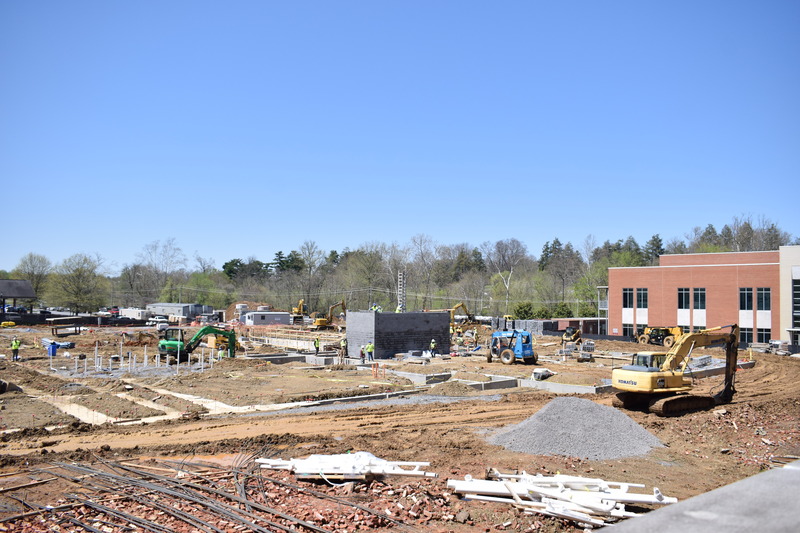 Take a look across State of Franklin Road, and imagine what will soon be ETSU’s Martin Center for the Arts. Ground broke on the site Sept. 10, 2017, and the center is projected to be completed by fall 2019. 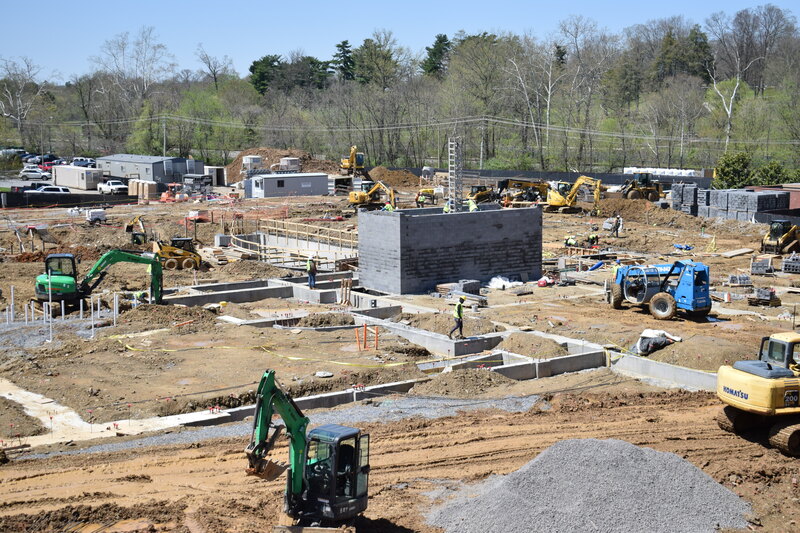 Phase one, which included breaking ground and preparing the base of the construction, is coming to a close, and phase two will begin in the upcoming weeks as steel is put in place. This phase should be completed toward the end of 2018, and then the building will enter final stages of construction. Rasnick said the winter weather has affected construction progress a little, but the construction company will be able to make that time up in order to open on schedule. The fine arts center construction and D.P. Culp University Center renovations will happen at similar paces as the Culp is expected to be complete by December 2019. However, construction off campus is easier to avoid than on campus. “The Culp Center, as far as day-to-day impact on faculty, students and staff will be much greater than the impact of fine arts,” Rasnick said. “We’ll see the building come out of the ground over the next couple of months,” Rasnick said. The new center will include a 1,200-seat auditorium, a 190-seat recital hall and an approximately 200-seat studio theater. 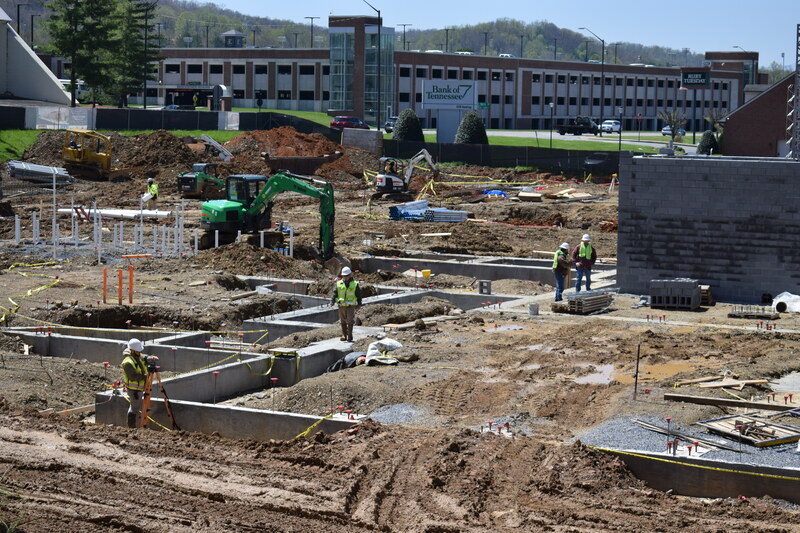 In an agreement with the city and state, Martin Center for the Arts will also be reserved for Johnson City community events on certain days during the year, according to the Arts Center construction webpage. Rasnick said people should look at the construction at ETSU from a perspective of progress.